Onkle Bligh (yes, he has spelling problems) is yet another uncle of Wilhelm. Onkle Bligh has always yearned for adventure, with his particular favorites being the high seas and alpine adventures. 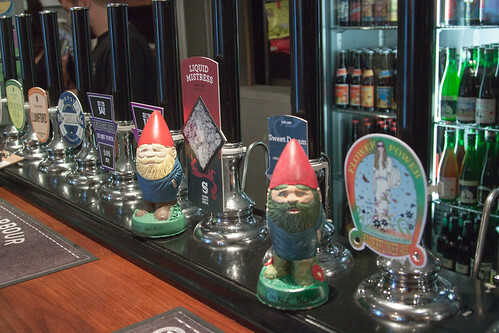 Oh, and like any good gnome, he always enjoys a good beer, a good cocktail, or heck, even just hanging around the local pub. 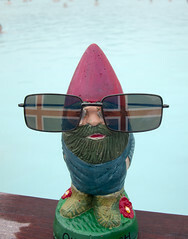 But adventure is his true calling, and after helping establish Gnomeland, Onkle Bligh wanted to try and see some more of the world, and spread the message of Gnomeland through a little diplomacy. So, recently, he applied for a post at the US Embassy in Iceland, and hopped on a plane to go there. 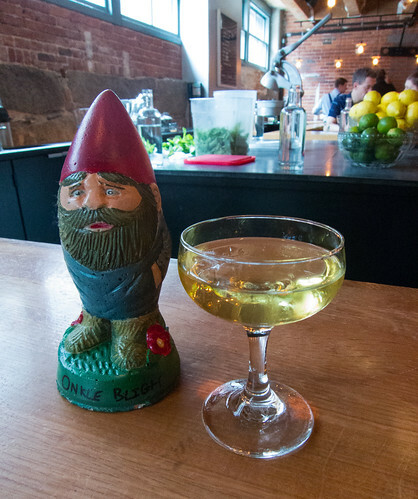 But despite his love of travel, he can’t fly without a proper sendoff, so he first stopped in for drinks at Drink in Boston. 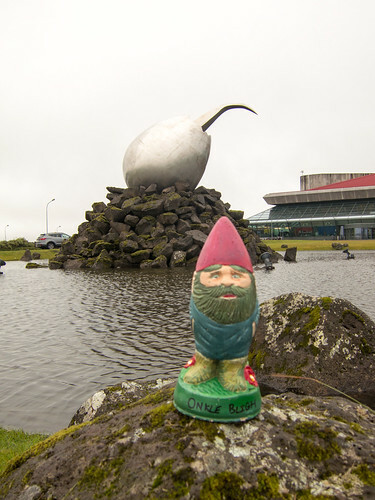 Once in Iceland, he loved the airport at Keflavik! 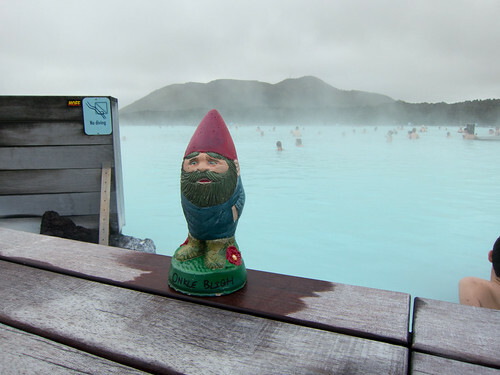 His next stop was Iceland’s famous Blue Lagoon, for some nice rest and relaxation in the famous hot springs. Time for a good soak! Next thing you know, he was kicking back and relaxing in the water. 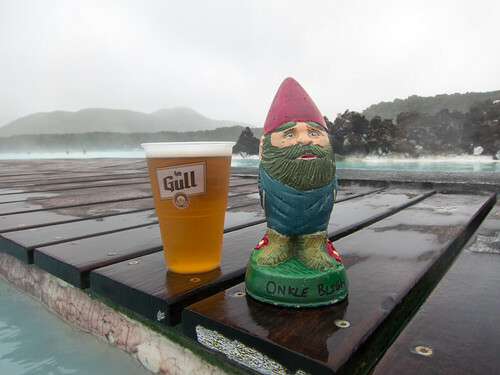 And he even got a chance to try one of the local beers, Gull. 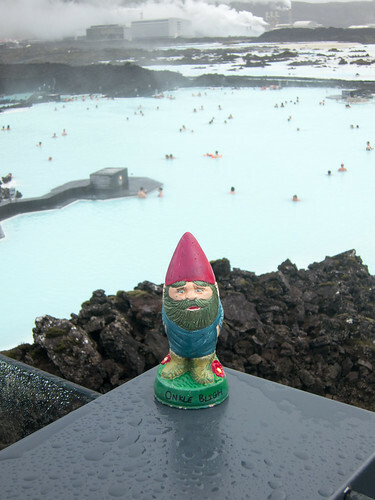 But soon it was time to head into Reykjavik… where poor Onkle Bligh discovered that applying for a position as a Gnome Cultural Attache at the US Embassy is a far different thing than getting accepted for that job, and found himself temporarily without job or accommodation, so he ended up sneaking back into his buddy Rich’s luggage along with Bruder Valkis, and heading off for Jolly Ole England while all his paperwork was sorted out. In England, well, lets be honest. 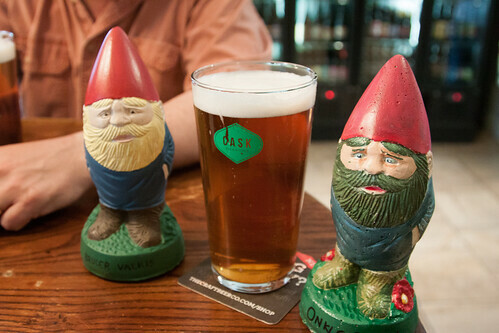 If you are a gnome staying in a flat upstairs from one of London’s best pubs (Cask Pub and Kitchen), where do you think you spend all your time? In the pub! 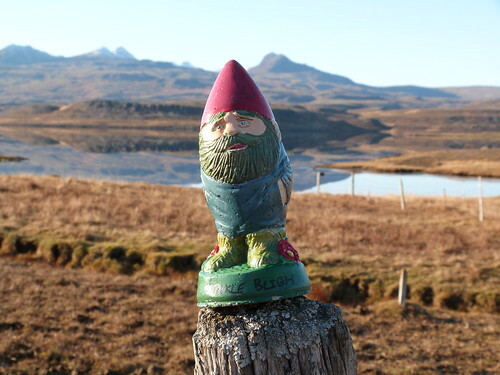 But soon enough, his paperwork was approved, and he headed back to Iceland (this time in the hands of the Royal Mail), and was soon back touring around Iceland as a Gnome Cultural Attache!